Almost everyone loves coffee. It helps us get going in the morning when we do not feel like getting out of bed. In fact, I am sitting at my desk sipping on a cup to help me wake up and write this article about coffee. Some days I wonder how I would get through the day without my fix of caffeine. As an added bonus, a quality cup of coffee tastes amazing. It is a drink that tastes great and gives you energy; what more could you ask for? Of course, if you want to expand your coffee enjoying experience, there are plenty of cool coffee apps for iPhone. There are apps to help you make coffee, find places to buy coffee and even create beautiful works of art about coffee. I have worked out a list of the some of the coolest iPhone apps for coffee lovers. With these apps, you will be ready to take the coffee world by storm! If you are a frequent Starbucks visitor, you need this application on your iPhone. It allows you to create drinks, see the menu, check your Starbucks card balance, send gift cards, find stores in your area, and so much more. You can even fire up the app and apply for a job at your local Starbucks! This is an awesome app for making your ordering process go a little quicker at Starbucks or many other coffee shops. It allows you to build your drink in the application and then simply show it to the barista. It speaks their language, so they will be able to look at it and know exactly how to take your on-screen creation and put it in a cup for you to savor the deliciousness. The pro version provides a visual editor that is not in the free version. Coffee Finder is designed to find the closest place for you to get some coffee when you need your caffeine fix. It does not have any fancy bells and whistles, but when you are simply looking for a delicious hot drink, it gets the job done very effectively. If you are not a Starbucks fan, fear not, because this application searches for different kinds of coffee shops. Personally, I am a Dunkin Donuts fan, and it had no problem finding all the Dunkin Donuts in my area. This app is for the true coffee connoisseur. Its main purpose is to allow you to keep track of the coffee beans you have acquired from various locations. This way, you can refer back to the application and find out where you got a particularly amazing blend. You can take photos, leave notes and enter every piece of information you know about the blend for next time. Affogato is a great app for people who wish to brew their own coffee, but are not interested in all the espresso-based drinks. It gives you names and definitions for lots of different coffees, and provides step-by-step instructions for creating your drink. It even tells you how the different brewing machines work. If you have ever wanted to expand your coffee knowledge, this is a necessary application. This app will turn you into a pro barista in no time. It has systematic instructions for creating all kinds of espresso-based drinks. Some of those drinks are complicated, and having a handy app that will tell you how to make them comes in handy. You can also have the application create a custom drink for you by choosing the ingredients you wish to have in it. Have you ever seen those awesome pictures where baristas create awesome art with the top of a coffee? Well this application will teach you how to create your very own coffee art. Of course, some talent will be required on your part to make it looks as good as the pictures, but if you have wanted to learn, this app is a great starting point! With these applications, you will be a true king or queen of coffee. You will be able to find places to buy coffee, make your own delicious brews, and even turn your drinks into art. No one will be able to stop you from acquiring your caffeine in the most delicious way possible with these apps. What are your favorite iPhone coffee apps? Let us know in the comments! An app to control a coffee machine so it can make it while you're in bed so you can go into the kitchen and it is already made would be awesome. I have this great app on my phone that isn't on your list. It's called Find Me Coffee. It has all of the little shops around me and I can use it with one hand. I tap on the icon in the middle of the screen and it uses my GPS to find what's closest to me. I travel a lot so this is really handy. I have used it all of Canada, the USA and Mexico. Check out “Coffee Compass FREE” : http://itunes.apple.com/us/app/coffee-compass-free/id543210653?mt=8 Fastest & the best app thus far I’ve used to find coffee! Slick & the compass pointer is pretty cool… ya can do map view also, read reviews etc. app at gotmelt.com/app. Then get out and enjoy a free iced coffee from Peets! 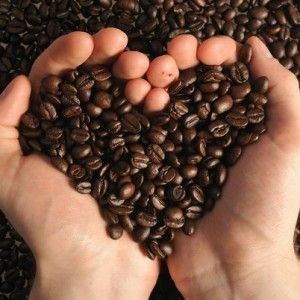 Check out also this app for coffee lovers, it's called "I Love Coffee" and was recently launched: http://www.lebguide.com/ilovecoffee. More than 50 different recipes of coffee are presented: From the well known pure versions, over the milky and foamy variations to the more exotic flavored drinks. If you love coffee, this is your app! Let's be real here. Who's going to download 7 apps for coffee? This is why I didn't read this article. Thanks for the comment I guess? What about some coffee apps for Android ? I am a non Android user, but I will suggest your idea to my coworkers, and I'm sure one of them will be happy to assist! I'm surprised you didn't mention Keurig related apps. I received one recently as a gift and would love to have an app to keep track of the ones I've tried and make notes so I know which ones to order in the future. K-Cup finder, and app made by Tag New Media for Green Mountain Coffee would be great if they kept it up to date. It's exactly what I was looking for. Keurig is the way I do coffee most of the time now. Thanks for the good recommendations!